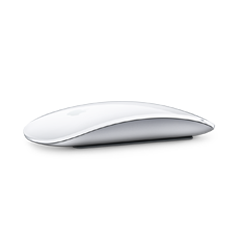 Magic Mouse 2 is completely rechargeable, so you'll eliminate the use of traditional batteries. It's lighter, has fewer moving parts thanks to its built-in battery and continuous bottom shell, and has an optimized foot design - all helping Magic Mouse 2 track easier and move with less resistance across your desk. 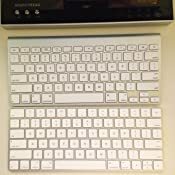 Amazon's Choice for "apple keyboard"
I have the full sized Apple Keyboard with the numeric keypad, the original Wireless Apple Keyboard and now the Magic Keyboard. I'll go through each and list what makes the Magic Keyboard upgrade worthy. Obviously, these are great for those who need the extra keys. However, the problem for me is the length of the keyboard. Due to its length, it pushes the mouse or the trackpad too far off to the side for my comfort. I have since purchased an ergonomic chair (Steelcase Leap Fabric Chair, Black) with highly adjustable arms, but prior to owning this chair, having the mouse so far out to the side hurt my shoulders. The other issue is the big movement required to reach the mouse. And of course, the wires. I hate wires. So I purchased the bluetooth keyboard from Apple. These were great. It had amazing battery life and the keyboard felt good. 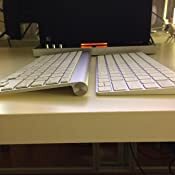 Due to the shorter length, the mouse or trackpad can be placed right next to the keyboard and you don't need an exaggerated movement to reach it. 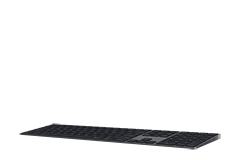 One thing that has always bothered me about the wireless keyboard was the angle of the keyboard due to the battery compartment. I kept wishing that it could sit flatter on the desk. It's flatter! 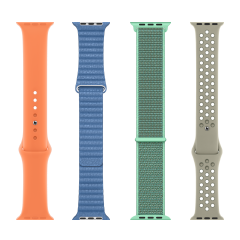 My wrist is thankful for it. This alone convinced me to purchase it. The rechargeable battery is also a great improvement from the previous generation. Some people worry that the built in battery will need to be replaced, but I am fairly certain that I will want to replace my keyboard before the battery dies. And if it does die, I can always plug in the lightning cable and use it as a wired keyboard. Battery life is great. I initially purchased the Magic Keyboard back in 10/29/2015. It came with a 99% charge. It's now 11/11/2015 and still has 82% remaining. I use my computer A LOT because I work from home and write software for a living. The much talked about key travel is also worth mentioning. I type around 120 words per minute. I was able to reach that speed on Typeracer (it's an online typing game where you compete with others -- type faster, and your race car moves fasters towards the finish line) immediately, but it just didn't feel right. The only thing I have to say is to give it a chance. Your brain with adapt to it. It feels like my fingers are using less force and doing less work. I don't notice it much anymore because I'm so used to it (that is not until I use another keyboard). The other thing that really bothered me was the arrow keys. The left and right keys are full sized but the up and down keys are not. This kept throwing off my muscle memory. My fingers kept missing the up and down keys as I instinctively reached for them. Also, due to the lower profile of the keys, it was harder to get the tactile feedback to discern between the keys. 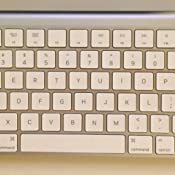 The old Wireless Keyboard had a deeper groove separating the up and down keys so it was easier to sense the keys. I eventually got used to this, too, though it took a bit longer. Looking at the keyboard I can see why Apple made this design choice. Finally, the keyboard looks better and sleeker than the previous generation. Attached are some photos for comparison. Do I love it (5 stars)? Well, no, because I thought the original price was expensive enough but this one is even more expensive at $100 ($30 jump). But I really do like it, hence the 4 stars. I would not have trouble recommending it to someone who already has the original Wireless Keyboard. Someone asked if it's loud compared to the old wireless keyboard. 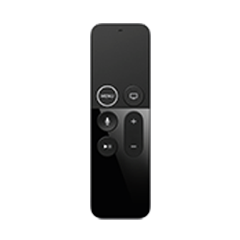 I just tested it, and although the sound different, the previous generation is definitely louder. They sound different (older one has more bass). I'm not sure how much these will help, but below are the recordings for comparison. Also, I haven't had to recharge my battery yet. I'm at 47%. Still loving it. The rechargeable battery is great. Even though the previous model has great battery life, I still find it annoying whenever I have to replace the batteries and I have none readily available. I ran into this exact situation last week (I still have the previous gen). The rechargeable battery is just one less thing to worry about. It's still going strong. The battery life is phenomenal. The letter S is barely visible because it has faded due to it being used so much. It's followed (in degree of fading) by A, C and E. This problem of letters fading has also been a problem with the previous Apple Keyboards. Since having used this keyboard for over a year, I have gotten very used to the short travel distance. When I type other keyboards, I have difficulty pressing the keys all the way because I'm so used to the shorter travel distance. If it were to break, I'd buy another one to replace it because I prefer it that much more. I have several of these for various Macs around the place and think it's the best keyboard Apple has produced to date -- especially when paired with the newest Magic Trackpad. That being said, I noted the box was not shrink-wrapped when I removed it from the Amazon box and then the keyboard plastic wrap was a bit askew. "This couldn't be used, could it? ", I thought. Then I tried to pair it with my MacBook Pro and saw the keyboard name in the list (see attached). The good thing is that 1) the keyboard has no issues and 2) I could easily change its name, but the main issue is that I do not like paying for new items that have obviously been bought, returned and then sold as new. 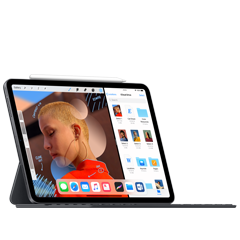 I bought this to use with my iPad Pro 10.5. Love it. 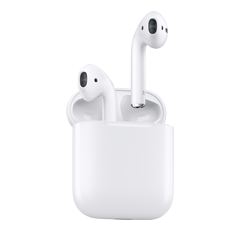 Pairs up via Bluetooth. I've had it for two days and have used it a few hours a day. It came with 85% battery, currently at 84% battery. Dropped a whole 1% in two days. Perfect. I love that it is a full sized keyboard, comparable to my MBP 13". I also wasn't a fan of the Apple Smart Keyboard (the cover with the keyboard cooked in). It was just too cramped plus I already had a smart cover so no reason to have two covers. I found out that I could use this keyboard when talking to an Apple Store employee while looking at iMacs. We paired a keyboard up to an iPad and I was sold (although I bought it on Amazon because it is $10 cheaper compared to buying it from Apple). Since it is an Apple keyboard, the battery life shows up in the battery widget along with the iPad battery life and Apple Pencil battery life. Screen brightness and volume controls on the top work with the iPad. 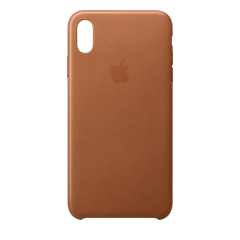 I was also able to pair this up with my iPhone 8 but not sure I would ever do that in the future. If there would be one suggestion for iPad users who want to use this keyboard, I would buy a case for it if you are going to travel around with it, like me going to campus and putting it in my backpack. I purchased a Hermit Shell case and it fits perfectly. machines and operating systems the same keyboard allowing to save time and aggrevation. 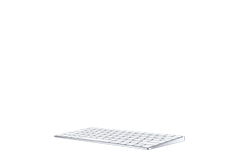 The apple magic keyboard very flat, has everything at the right place and looks good. interfere with each other. One can now use the keyboard with or without bluetooth. I'm writing this on this keyboard on a linux desktop. 5.0 out of 5 starsWorthy update from the previous model. Typing on this keyboard is strikingly different than the last keyboard, and I must say that once my fingers got used to the new feel, I'm typing even faster than before. The keys look and feel much closer to the aluminum, yet they also feel like they press down just as much, with a light touch. If you are a key masher, you're going to get some noise. The keys respond with very little pressure, so once I got used to that I'm just gliding from key to key. Was it worth the update? Yes, if you spend much of your day on a keyboard like I do. Well done, Apple.